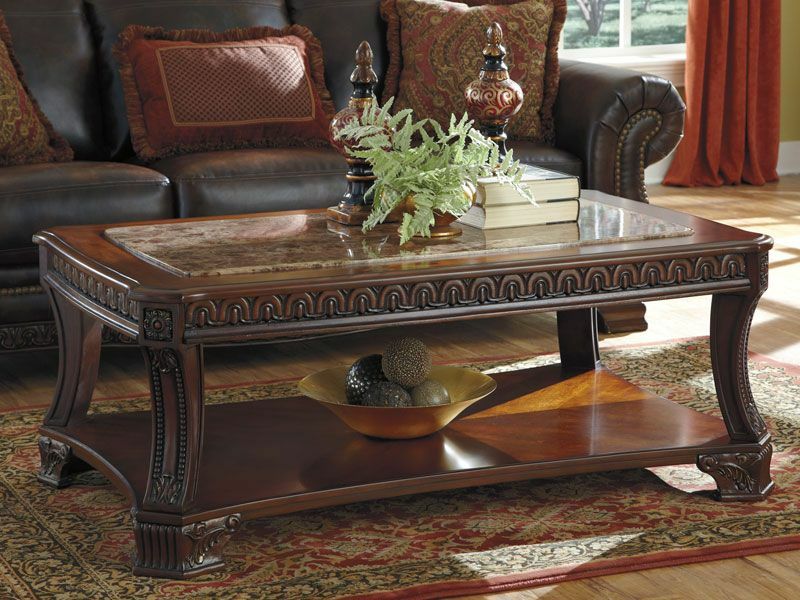 Click the button below to add the Montego - 2pcs Traditional Rectangular Cocktail Coffee End Occasional Tables Set to your wish list. 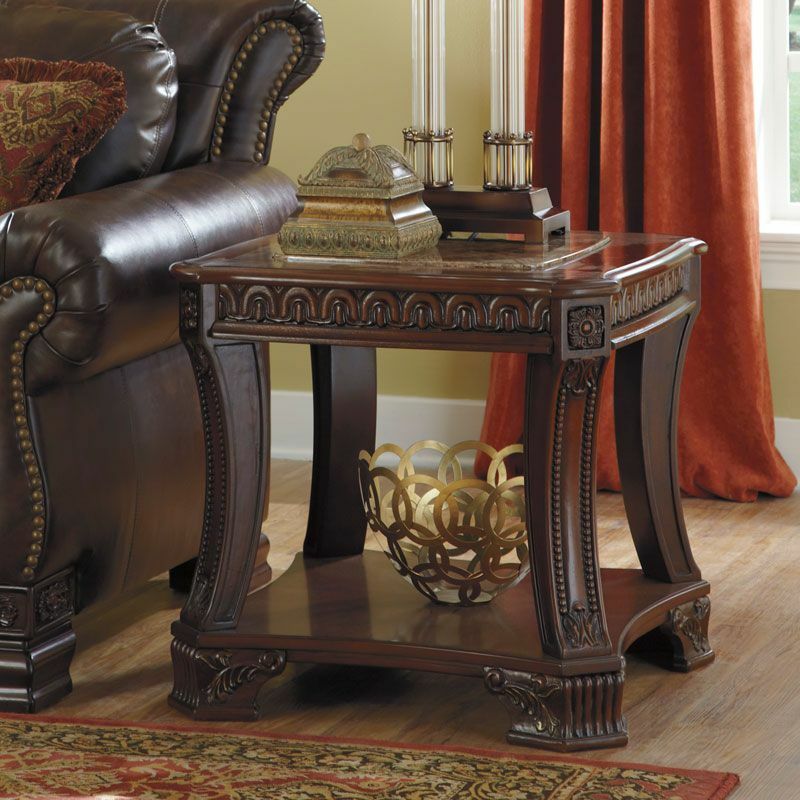 Constructed from select birch veneer and hardwood solids finished in a traditional dark cherry stain. The aprons, posts and feet are ornately embellished with a variety of motifs. 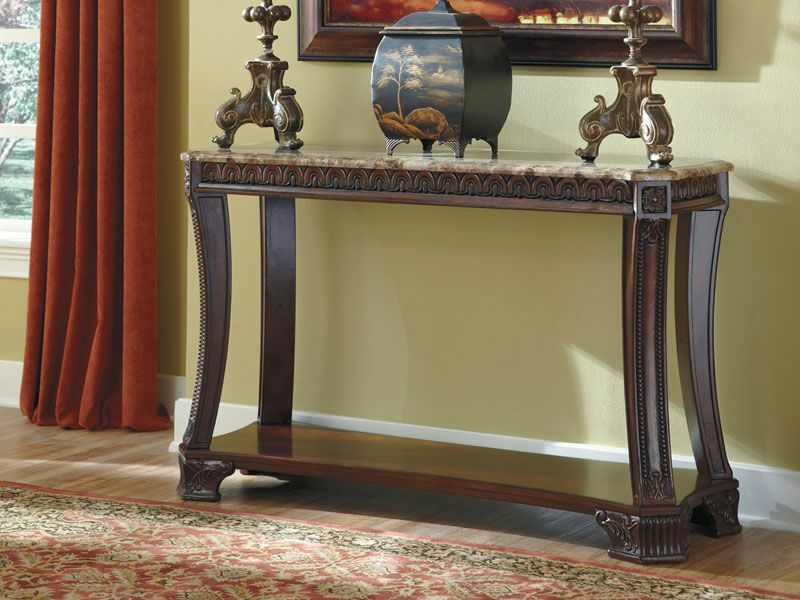 Table top features beveled inserts made with print marble pattern that is finished with full sheen polyurethane.